Before there was Rainbow, before there were the solo hits "Warm Ride", "It's All Over Now" and "Will You Still Love Me Tomorrow". 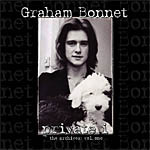 Graham had written and recorded his first post-Marbles solo album. Sadly, this album never saw the light of day way back in 1975 for a number of reasons... However 40 years later that is about to change. 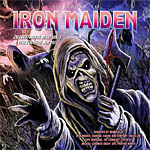 Collectors Dream Records will release a new tribute to metal legends Iron Maiden "A Tribute To Iron Maiden - Celebrating The Beast Vol. 1 (The Evil That Men Do)", the album will include new interpretations of classic Maiden songs by several acclaimed vocalists in the hard rock and heavy metal genre, including Paul Di'Anno, Doogie White, Steve Grimmett, Steve Overland and Gary Barden. 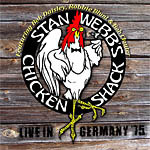 Chicken Shack are a British blues band, founded in the mid-1960s by Stan Webb (guitar and vocals), Andy Silvester (bass guitar), and Alan Morley (drums), who were later joined by Christine Perfect (vocals and keyboards) in 1968. Bob Daisley joined on bass in 1972. He returned to the band in 1979. Welcome to Long Beach 1971, the latest album in earMUSIC's Deep Purple reissue series that, over the last two years, has seen the release of rare live material from the band, including "Paris 1975", "Copenhagen 1972", "Stockholm 1970" and "Graz 1975". Spanning over 70 minutes of music, "Long Beach 1971" has been remastered in 2014. 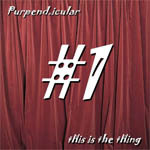 The renowned Purple tribute band Purpendicular is releasing an album of original material titled tHis is the tHing #1. 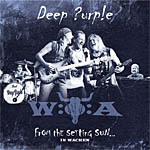 It is an 11-track concept album featuring guest appearances by Ian Paice, Roger Glover, Don Airey, Steve Morse, and Neil Murray, among others. 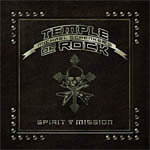 Spirit On A Mission is the title of the new studio album by the award-winning, legendary guitarist Michael Schenker. 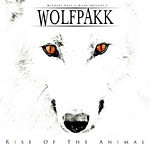 The album features features classic rock guitar-driven songs that highlight Schenkers distinctive and dynamic guitar playing. Doogie White on vocals. 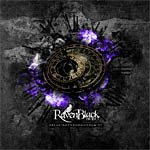 RavenBlack Project is the musical creature by the Italian guitarist Riccardo Bacchi. Completely produced by himself, from the songwriting to the artwork concept. Doogie White sings on "One-Night Stand" and together with Amanda Somerville a duet called "The Ancestral Call". This duet will be released as the third single. 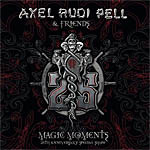 Axel Rudi Pell celebrated his 25th anniversary as a solo artist by performing a very special show at the Bang Your Head Festival in Balingen, Germany on July 11, 2014. 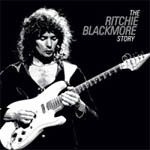 The show with many guests including ex-Rainbow members Bobby Rondinelli, Tony Carey, Doogie White and Graham Bonnet gets a release now on CD, DVD and Blue Ray titled 'Magic Moments'. 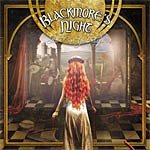 All Our Yesterdays is the 10th studio album by Blackmore's Night. The new songs once again take the listener through a kaleidoscopic musical journey through time and space, incorporating and rearranging traditional melodies from different European countries and masterfully blending the folk and traditional music influences with contemporary elements. 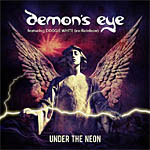 "Under The Neon" is the second album by Deep Purple tribute band Demon's Eye. The German band records on their album their own written material. Doogie White on vocals. 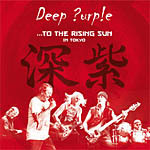 Remember Times Like These (in memory of Jon Lord) as bonus track on the deluxe version. The Lizards are drummer Bobby Rondinelli (Rainbow, Black Sabbath and Blue Öyster Cult), vocalist/keyboardist Mike DiMeo (Riot, Masterplan), bassist Randy Pratt (who also plays harp with Cactus) and guitarist Patrick Klein (who recorded and mixed the album). 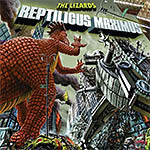 Reptilicus Maximus has guest appearances by Glenn Hughes, Frank Marino and Vinnie Moore. 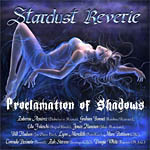 Stardust Reverie AKA Stardust Reverie Project is a symphonic metal band that features the talents of Graham Bonnet, Zak Stevens, Lynn Meredith, Melissa Ferlaak, Bill Hudson and Zuberoa Aznarez. Edu Falaschi, Jonas Hansson and Doogie White have joined to the project and they are currently recording the new album that should be released in 2015. 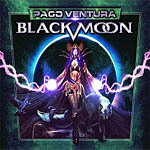 Third release from guitarist extraordinaire Paco Ventura who is the most well-known guitar player in Spain. 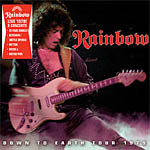 Features appearances from Joe Lynn Turner (Rainbow / Deep Purple), Bruce Kulick (Kiss), Roland Grapow, Goran Edman, Fabio Leone, Kiko Loueriro, Patrick Rondat and John Norum. Magnus Karlsson's new album titled “Kingdom of Rock” has collected a dream team featuring some of the strongest melodic singers in metal and hard rock! The list includes Tony Harnell, David readman, Jorn Lande, Joe Lynn Turner, Tony Martin and Harry Hess. 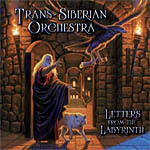 Letters From the Labyrinth is the sixth album by the Trans-Siberian Orchestra. 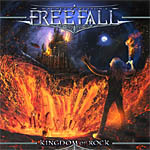 It is the band's first album since Night Castle in 2009. Unlike TSO's previous albums, Letters from the Labyrinth is not a rock opera, but rather a collection of songs on various subjects including bullying, banking, and the Berlin Wall. 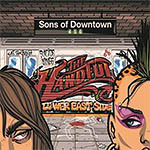 The Handful is a band from New York City by Mark Duda, Jim K. Bones and Jason Mischel. Bobby Rondinelli joined them on their latest album "Sons of Downtown". There are also guest spots from members of Dead Boys & The Runaways.